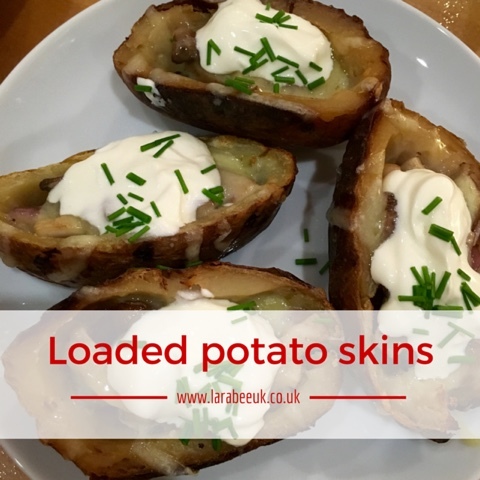 Do you ever find yourself with lots of leftover jacket potatoes? Well, ok it's not the usual leftovers is it? Last week we hosted a Halloween party where we were left with a few spuds. 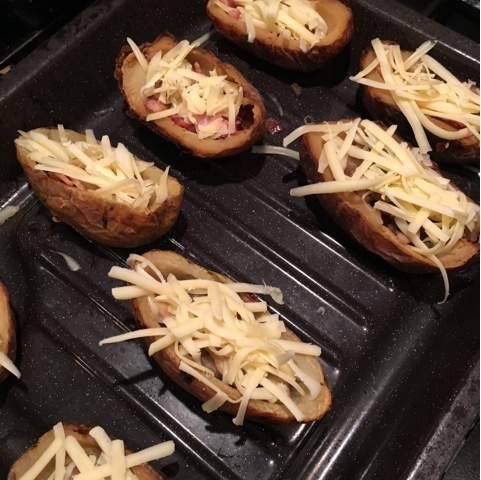 I decided to turn these into some loaded potato skins, we had some for supper and popped some in the freezer. You could of course just cook up some potatoes and use those. I'll be posting a recipe soon which uses the potato from the insides. This isn't so much a recipe, just an idea for leftovers or a simple supper. 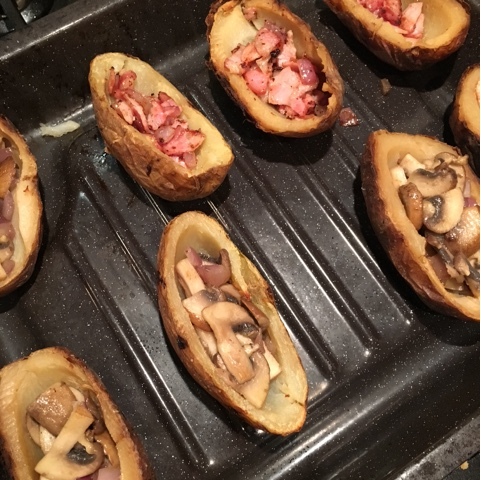 All measurements are approximate, the beauty of this 'recipe' is that you can pretty much use what you have, we used bacon or mushroom but you could use any combination. 2. Scoop out the insides of the potatoes leaving about 1cm around the edges, place them on a baking tray and brush with melted butter or oil. Place in the oven for 10 mins to start to crisp. 4. Top with cheese and bake for a further 12-15 minutes, until the cheese is bubbling and starting to brown.